Class is king (and queen) here in the heart of WeHo; Crunch is known for the best long-standing lineup in town. 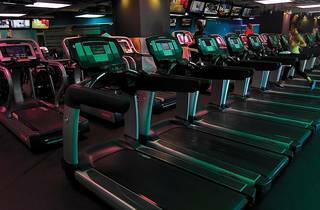 The gym makes fitness fun, with things like live DJs, pole dancing and celebrity sightings a plenty. The second level’s floor-to-ceiling windows overlook iconic Sunset Boulevard, where members can pump weights as they literally watch the sun set. 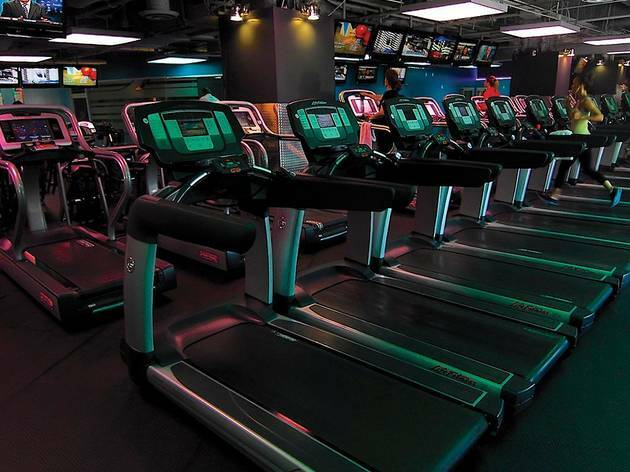 There’s a strength and cardio floor, ride/yoga/pilates studio and functional training area. Locker areas feature showers, Bliss Spa products and steam rooms. The best part? Two and a half hours validated parking and Trader Joe’s just downstairs from the club.